Cheaper Car Hire at Vilnius Airport - Compare reduced rates for MPV, SUV & Estate rental in Vilnius. We offer discounted car hire in Vilnius. Some of the companies we use are:- Addcar, Alamo/National, Budget, Europcar and Sixt, who have all reduced their normal prices. However, you still give same level of quality and service, but just at cheaper price if you book through us. Cars can either be collected when you arrive at the Vilnius International Airport, or from within Vilnius city itself at various location. You can book you rental car at the bus or train station, as well as downtown. Mileage, insurance, accident recovery & CDW, come as part of all hire contracts. All our Lithuania car rentals are with quality suppliers. We search several car hire databases at the same time, looking for who has the car you want. Off to another country or just staying in Lithuania? Not a problem, as our system will allow both national and international one ways. So if want to go from Lithuania to Latvia, from say Vilnius to Latvia, then geta price now and book today. 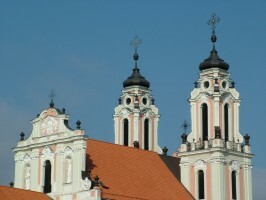 Napoleon once referred to Vilnius as the Jerusalem of the North. 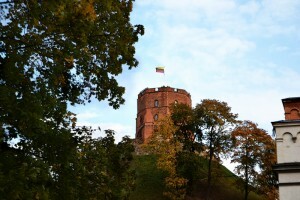 Is the capital of Lithuania, located in the south east of the country. 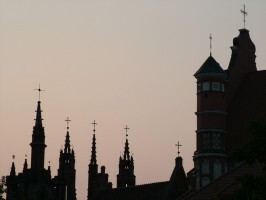 Of all the Baltic states, it is the second largest city. It has a good mix of old and new buildings and was declared a World Heritage Site. Just over half a million people live there. The name comes from the nearby Vilnia River, as it is located where it joins the River Neris. Lower costs for Vilnius Airport motoring made easy. Budget rates with quality suppliers in Vilnius. Like churches? Then head to Vilnius, as there are over sixty to look at. We have partnered with Agoda to bring you a quality range of affordable hotels in Vilnius and throughout Lithuania, so look for the Agoda logo at the bottom of the page and save on your car hire and hotel with us!